This level has easy difficulty and to break lot of jellies within 30 moves but you will get lot of special candies own self in this level. 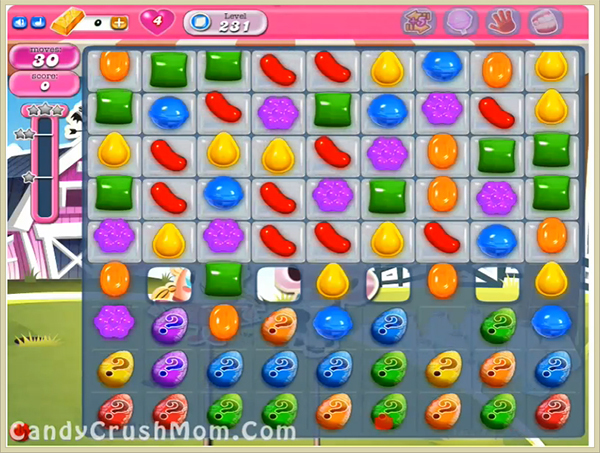 For this level try to break striped candies horizontally to break jellies or make colorbomb with striped candy combo to break more jellies within less move. You should play more with jelly candy to reach requirement. We completed this level with 344960 score using striped candy trick that we posted above and got three star score at the end of the level.